Toronto has an enviable supply of ‘ethnic’ restaurants. I visited a Tibetan one about a few years ago. When I met the owner, he offered me a traditional Tibetan tea. After the first mouthful, I exclaimed, “Wow! Now that’s salty!” A long conversation about salt, tea and hypertension followed. “How can this be good for the heart and hypertension?” I knew that many, if not all, Western physicians are as confused about that as I am. But I finished the whole cup, knowing that Tibetans have been drinking it that way – salt included – for centuries. From the Western point of view, too much salt in the diet leads to hypertension. In fact, Western physicians very strongly urge their hypertensive patients to reduce salt. This urging has resulted in some patients obediently going to great lengths to maintain a salt-free diet. Cutting out that extra spoonful of salt is probably a good idea, but it should be noted that a recently published review article suggests that sugar, not salt, is the culprit. It appears that sugar is likely the major contributor to most of the hypertension risk that translate into one or more of the cardiometabolic ‘diseases’ (diabetes, heart attack, stroke). Richard Krasuski, MD, from the Cleveland Clinic in Ohio states that “It is a little bit frightening that we have been focusing on salt for so long”. Dr Krasuski said “The conclusion that sugar represents a greater danger to the heart than salt was an “eye opener”. He also acknowledged that he should have anticipated it. He and other cardiologists have noticed that the recommendations to increasingly lower salt intake have not resulted in the expected positive cardiovascular outcomes. Consuming 25% or more calories from added sugar, increases three-fold the risk of death due to cardiovascular disease. Drinking sugar-sweetened beverages has been DIRECTLY associated with heightened blood pressure. 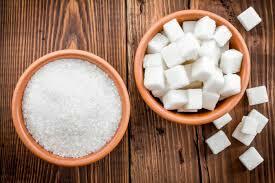 Estimated individual annual sugar intake rates in the U.S. range from 77 to 152 lbs. Replacing processed foods by natural whole foods is desirable. High-sugar diets may make a significant contribution to cardiometabolic risk. This entry was posted in Cardiovascular Health, Heart Health and tagged Hypertension, James J. DiNicolantanio, salt, Sugar. Bookmark the permalink. Very interesting. Thanks Dr. James!